Are you a Londis Hell's Hero?! HELL & BACK is a struggle, there's no denying it. Yet there is one proven method for making that struggle just a little bit easier: teamwork. And while the reward for teamwork is to simply make it thru' HELL & BACK, we also like to recognize the HellRaisers who display outstanding acts of skill, determination, courage, selflessness, & teamwork: the people we like to call Hell's Heroes! At various obstacles around the course, our marshals will be watching out for participants who display outstanding feats of selflessness and teamwork. If a marshal selects you as a Hell's Hero, you will be awarded a winning wristband, which you should securely tighten to your wrist and bring to the Hell's Heroes desk in A Little Piece of Heaven after you finish. 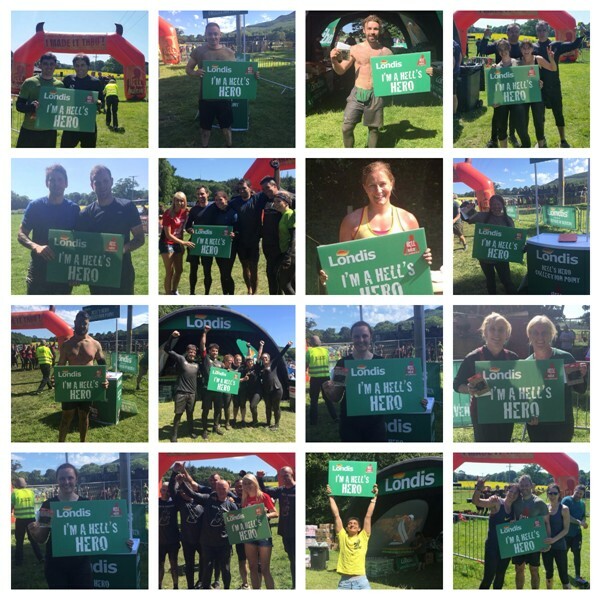 One of the Londis team will then present you with your well-deserved voucher, take a photo and add you to our Hell's Heroes Hall of Fame! Here are some well-deserving Hell's Heroes from the last HELL & BACK.